The lithium industry will need US$10 to US$12 billion worth of investments over the next 10 years to meet increasing demand from electric cars. Top lithium producer SQM (NYSE:SQM) sees the need for at least US$10 to US$12 billion worth of investment in the lithium industry over the next decade to meet increasing demand from electric cars, an executive said on Wednesday (April 18). Demand for the metal is set to grow by 600,000 to 800,000 tonnes of lithium carbonate equivalent over the next 10 years, Daniel Jimenez, senior commercial vice president at SQM, said at a conference in Shanghai. “So a lot of capital needs to be put on the table for this to materialise, which is a challenge,” Jimenez added. 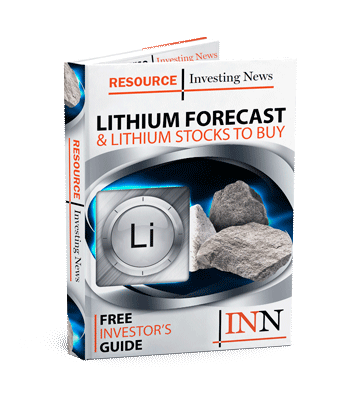 Other lithium analysts and market participants have also been pointing to the need for investment in the industry to meet rising demand for some time. Some original equipment manufacturers, such as battery producers and some car manufacturers, “have started to get involved in lithium projects, financing or co-financing the development,” he said. Meanwhile, carmakers such as BMW (EBR:BMW) and Volkswagen (FWB:VOW) continue to look for ways to secure long-term lithium supply for future EV production. “This is a trend we will probably continue seeing because there is a legitimate concern on the side of the vehicle manufacturers” over the reliability of supply sources, Jimenez said. Similarly, lithium analysts expect long-term supply deals to become more common in the near future. London-based firm Benchmark Mineral Intelligence estimates a number of lithium/auto deals will be struck in the next 24 months. In addition, Jimenez said the lithium industry “has shown a poor track record of delivering projects on time.” That’s because bringing projects into the lithium market is not always easy — it can take years for a new mine to be producing at full speed. SQM currently has an annual lithium carbonate production capacity of 48,000 tonnes in Chile, which the company is expecting to expand to 70,000 tonnes by mid-2018 and to 100,000 tonnes in 2019. In January, SQM signed a deal with Chile’s development agency Corfo that will allow it to expand production to up to 216,000 tonnes of lithium carbonate a year through 2025. The major lithium producer has not decided if it will expand output yet. Even so, oversupply fears hit the market after the deal was announced, hurting many junior lithium stocks during Q1. For lithium investors interested in learning more about what happened in the first three months of the year, INN has put together a lithium market Q1 review article. Click here to read more. Investing in mines that may produce materials for manufacturing batteries (lithium, cobalt, graphite) is a mugs game. Technology is moving too fast. Seldom does any mine go from initial property acquisition, early exploration, even resource or reserve definition and then to mine permitting, construction, development and first production in less than 10 years. Sodium ion, vanadium, graphene (produced in milliseconds from natural gas) and other technologies are on the 2 to 5 year horizon. My bet is on graphene for supercapacitors that replace batteries… but who knows? In the short term lithium and its related materials may enjoy a brief spurt; but be prepared to get in and out quickly.